Microsoft has detailed its new new unified Windows Store on Windows 10 devices and demonstrated how it enhances the enhances user experience leading to more downloads. 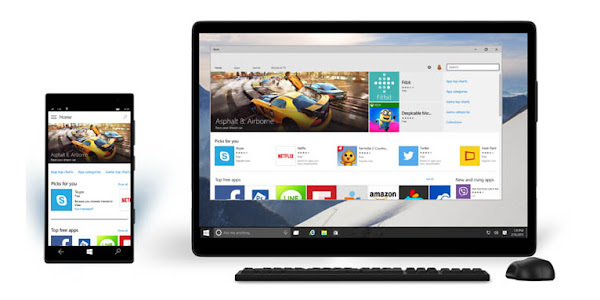 This should eventually help developers monetize their apps and games across global audience of Windows 10 customers. The new Windows Store features a new unified Store search, recommendations engine, and offers user experience that scales with screen and window size – all designed to improve content discovery and acquisition. The store now also offers a unified set of global and local payment options which allows Windows 10 customers to purchase digital content through Carrier billing. With Carrier billing on Windows 10, the Windows Store will support a range of global payment methods on all Windows devices – including the largest carrier billing footprint of any ecosystem, supporting 90 carriers, to help people around the world who don't have credit cards, but do have phones. This will allows users without a credit card to purchase app on Windows devices through operator billing for a more seamless payment experience. The Windows Store is Built on the new Universal Windows Platform and exists in a windowed environment, making it more flexible, more convenient to use and enables the Store to be updated outside of the OS update schedule. Being a single place to acquire Windows apps, games and more, Windows Store will be one big store for Windows digital content, with catalogs of more than 650,000 Windows 8.x and Windows Phone 7.x/8.x Store apps, 40 million songs and 400,000 movies and TV shows. And, all that content will run on Windows 10 PCs, phones, laptops, tablets, Surface Hub, HoloLens, Xbox and other Windows 10 devices. 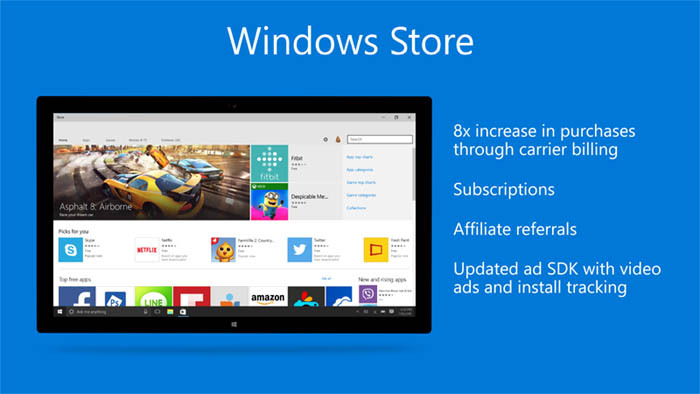 The new Windows Store will include two storefronts: an on-device storefront designed for consumers and a web storefront designed for business and organization customers. 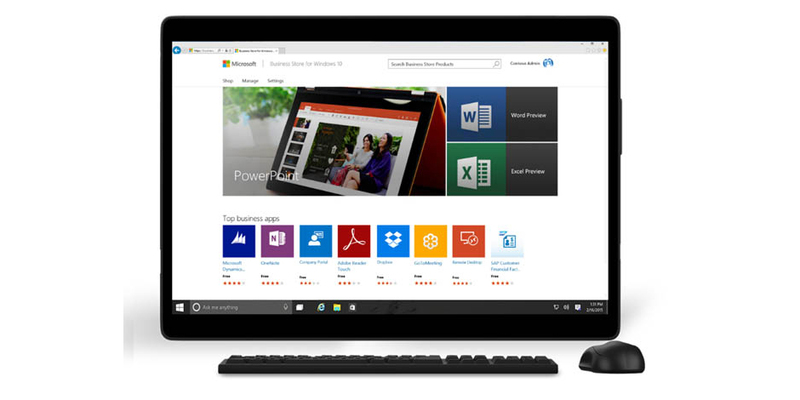 Windows Store for Business will allows Enterprise Windows 10 customers to highlight apps for their employees, distribute select apps from the Windows Store and private line-of-business apps to their employees, and use business payment methods like purchase orders. Windows Store for Business includes two components. One, the Business Store portal which will enable organizational decision makers to acquire Store software or content for their organization in volume. And the second is distribution portal which will allow organizations to distribute software directly to employees either with built-in simple tools, via integration with popular software distribution and management solutions, or as a third option through the organization-managed private section in Windows Store app accessible only by employees.